Happy Feel Good Friday! There is so much emphasis on what divides us these days, I'm going to take a moment to celebrate what unites us. Earth. The Biosphere Foundation (BF) works to "inspire intelligent use of the earth's natural resources and empower individuals to become leaders in biosphere stewardship." I learned about them while watching a 30-minute program called Vanishing Coral, which I recommend when you're done reading this. BF was founded in 1991 by three people who spent two years in the research facility Biosphere 2 and came out with a greater appreciation of how our daily actions affect Biosphere 1 (aka earth). Recognizing that the health of the biosphere is decreasing due to climate change and a growing human population, BF works directly with local island people whose livelihood is most affected by the ecological changes. (4) providing an unbiased, "trusted source" of data about the biosphere to the users around the world." A fun example of getting the local community involved in a coral reef conservation program is this video of students on Menjangan Island in Bali, Indonesia. They sing about not throwing plastic trash into the sea, set to the tune of Bob Marley's Jammin. Much of the work of BF is done from the sailing vessel, Mir, which sails between conservation programs in Indonesia and Sri Lanka and produces short films about the ocean along the way! 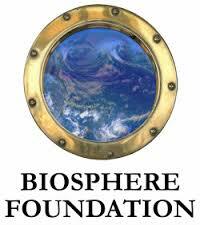 You can learn more about the ship as well as current conservation and stewardship programs at the Biosphere Foundation website. If all of this makes you want to show mother earth some love, you can make a donation to support this work and follow the adventures of the BF team on Facebook and Twitter @biospherefdn.